Consumers strapped for cash or those expecting a shiny new tech gadget in their stocking this year may want to consider some of the deals trade-in sites like NextWorth and Gazelle will be offering pre and post-holiday this year. Many of these sites are offering cash bonuses to people looking to sell old smartphones, laptops, tablets, e-readers and other electronic gadgets through their websites. The idea is that people, who may need some extra cash to buy presents for loved ones, may want to consider selling their old products. And as more people are likely to get a shiny new tablet or other tech gadget as a gift this year, these same sites are also offering special deals after the holiday to entice people to clean out their junk drawers of old products to make room for the new. In this, my first Ask Maggie column since taking a three-months maternity leave, I highlight some of the goodies on offer this holiday season. I also explain to another reader what it really means to have an unlocked smartphone. Im thinking about using a trade-in site to sell some of my old devices, like smartphones, tablets or my e-reader. I know the holidays are a good time to buy these products, but is it also a good time to try and sell them, too? The short answer to your question, is "yes." Whether you are planning to receive a new gadget as a gift or you are looking to make some extra cash to help pay for the gifts you plan on giving to others, the holiday season is turning out to be a great time to sell your old gadgets. Just as retailers have tapped into holiday consumerism to boost sales volume, trade-in Websites are also trying to appeal to peoples craving for great deals with their own incentives designed to boost the volume of gadget trade-ins. For example, the site NextWorth has announced a "Pre-Black Friday" deal for Kindle owners. You can trade-in any Amazon Kindle e-reader or tablet and get a 50 percent bonus on your device. All you have to do when you trade in your device is enter the code "BLCK50" at checkout. The deal is good for trade-ins of the Kindle Fire, Kindle DX, Kindle Keyboard and more. Payments are made through either a check, Paypal or a Target gift card. What this means is that a 7-inch Kindle Fire HDX with 32GB of memory, which would usually fetch you about $104 on Nextworth will be worth $156. The deal is only offered until November 26. But the pre-Black Friday Kindle Fire deal isnt the only one that NextWorth is running this holiday season. The company also plans to run a CyberMonday deal, which it has yet to announce. And just like it did last year, the company will be running bonuses and specials after the holidays to entice people, who may have received a new bright and shiny gadget to trade in their old gadgets. What those exact deals will be, the company has yet to announce. Last year, Nextworth offered a 10 percent bonus on trade-ins of all Apple iPods from Christmas through December 31. And a spokeswoman said that consumers can expect something similar this year. Other trade-in sites are also offering bonuses and incentives. Gazelle.com is offering coupons that allow people to trade-in their old gadgets and get an extra $10 for their trade-in. "The Gift of Gazelle is a downloadable coupon that can be shared with family and friends," a spokeswoman for the company said. "So if people give a new device as a gift, the coupon can be easily wrapped along with it." The site Technollo.com, which offers special deals on trade-ins all the time, is offering bonuses just for the holidays to entice people to recycle multiple devices. The way it works is the more you trade-in, the bigger the bonus. Here are the new holiday promos. Armando Filoteo, president of Technollo said that trading in old gadgets for cash is a way to start the new year fresh. "The saying Out with the old and in with the new has come a long way when talking about trading-in old unused gadgets," he said. Filoteo said that people who use Technollo and other trade-in sites can also feel good about their choice to sell their devices rather than throwing them away. Since used devices are in high demand, especially in developing markets, it means the devices get put to use instead of ending up in landfills. "Think of the children," he said. "Pepe in Africa gets to call his grandma on a used phone. And the money you make is real money. In this economy getting $200 for a used phone is not chump change." I admit that Filoteos comments may be a little over-the-top in terms of the feel-good aspect of trade-in sites. But you cant deny that money is money and any little bit you can get to defray the cost of some other gadget or service you cant live without, is a help. And while many of these sites are planning to run special offers for the holidays on trade-ins, it doesnt mean this is the only time of year that they offer such deals. So make sure to keep your eyes peeled for offers throughout the year, so you can be sure to get the most money for your old technology. I have a Samsung S III with AT T. But Im thinking of switching to AT T. Can I use this phone, once l unlock it, with T-Mobile? How about if I trade it in to Nextworth or Gazelle? Do I have to unlock it first? Can I still use the phone with AT T service even if I unlock it? Lastly, if I purchase the new Samsung Galaxy Note III on AT T, can I use this phone with T-Mobile a year from now? (I do understand about early termination fees- just want to make sure the model is compatible with both services). In general, an unlocked smartphone built for AT T can also be used on T-Mobiles network and vice versa. The two Samsung phones you have indicated will work just fine on T-Mobiles network. What this means is that once the device is unlocked it can be used on almost any GSM network around the world. That said, because different countries and different carriers use different slivers of spectrum to provide different services, you may not get data download speeds equivalent to what youd get on AT T. But in general, unlocked GSM phones can be used almost anywhere on another GSM network. Now for the other part of your question: Must you unlock your smartphone before you sell it on a trade-in site like Nextworth or Gazelle? The answer to this question is "no." Of course, you probably could get more money for your phone if you unlock it and try to sell it yourself to a friend or on eBay or Craigslist. But the trade-in sites are a good, no-hassle way to sell your old smartphones and other electronic gadgets. And as I mentioned in the answer above, a lot of these sites offer bonuses and specials to encourage people to trade in their old products. 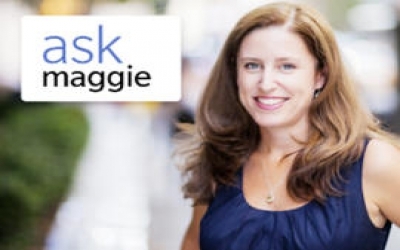 Ask Maggie is an advice column that answers readers wireless and broadband questions. The column now appears twice a week on CNET offering readers a double dosage of Ask Maggies advice. If you have a question, Id love to hear from you. Please send me an e-mail at maggie dot reardon at cbs dot com. And please put "Ask Maggie" in the subject header. You can also follow me on Facebook on my Ask Maggie page.